Choosing a Tent for Camping: Tips on How to Choose Wisely! 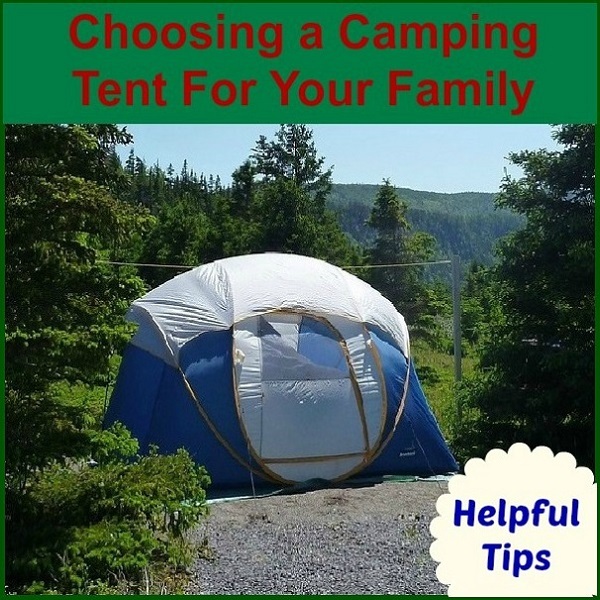 You are here: Home / Tips & Tricks / Choosing a Tent for Camping: Tips on How to Choose Wisely! When planning a camp trip the most essential item you are going to need is a good tent. Choosing a tent for camping can be a little tricky if you do not know what to look for. Having a tent that holds up to the weather condition and has the space you are going to need for your family and your gear. Keep in mind when shopping for tents that in most cases you are going to want twice as big as the number of people you have. For example, if a tent is designed for two people, then they are talking about two average size adults with sleeping bags and precious little space to store any gear. A four man tent or larger is usually best for two people as it will give you room to move around and leave space for you to store your gear out of weather. You can always choose to bring along a second small tent for storing supplies. This is what we have always done simply because we tend to camp for two or three weeks at a time and like the extra space. There are several basic things you are going to want to look for when shopping for a tent, especially if you want to use it for more than a trip. This is one time when bigger is better. As stated in the introduction you want one designed for at least twice the number of people who will be using it, but if you can afford to go bigger you won’t be sorry you did so. My hubby and I actually use a 10′ by 20′ tent for just the two of us and two dogs as it provides plenty of sleeping and storage space and even has room for a couple of chairs and small stand should it rain a lot and we want to stay dry. 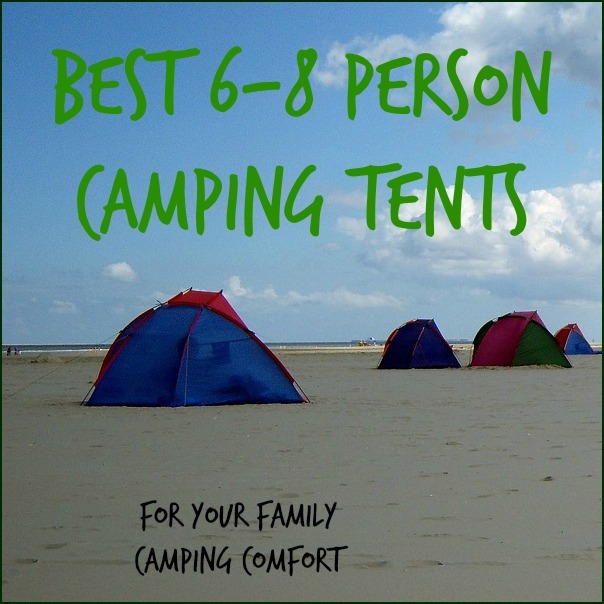 There are different tent sizes made to accommodate different number of campers – there are 1 man tent, two people camping tents, camping tents for 4 people, 6 to 8 person camping tents and much more! You want to make sure that your tent gets good air flow. Windows that can be closed up when it’s cold or wet as well as vents near the top of your tent will help keep your tent comfortable and dry. If you are planning on camping in all seasons and all weather conditions, then make sure that your tent is designed for colder weather camping too. You can’t always tell how durable a tent will be just by looking at it, so make sure you read some reviews and find out how well this tent holds up to many uses as well as different weather conditions. Certainly not necessary and we have had several tents without either, but tents with vestibules or awnings give you some shade should the campsite lack adequate shade and gives you a place to put shoes and boots. Vestibules also give you a screened in porch to relax and enjoy a bug free evening or afternoon. Storage Pouches are netted pouches placed on the sides of the tent (inside of course). Again not a necessary item, but a handy place to keep flashlights, glasses and other small items you don’t want to misplace. Whether you are staying on a site that offers electricity or you bring along a battery operated light, having a loop at the top of your tent to hang a lantern certainly comes in handy. Delays in reaching the campgrounds often occur on family camping trips and it is no fun trying to put up a difficult to assemble tent in the dark. So the ease at which a tent goes up and takes down is something to consider. This is particularly important if you are on a road trip and camping or hiking and camping and will be putting up and taking down your tent several times in a relatively short period of time. Now that you know what to look for when choosing a tent for camping, you need to know that even the most complete tent could use a few extras. No matter how durable the bottom of tent may seem, small stones and sticks you may miss when you clean the area can eventually poke through the bottom of your tent allowing moisture from the ground to seep up into the floor of your tent. 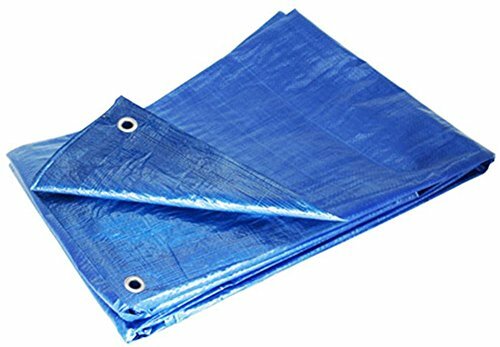 Placing a tarp under your tent floor gives the floor an extra tough layer of protection and makes sweeping off the bottom of your tent when putting it away a lot easier. In addition, while many tents have rainflys to keep rain out of your tent, we always bring along an extra tarp to put over the top of our tent in-case the weather looks bad. 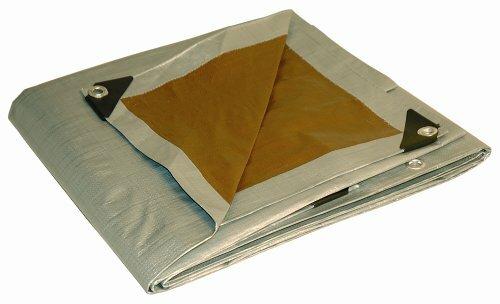 This extra tarp simply provides another layer of protection from the rain in case the high winds loosen the rainfly. 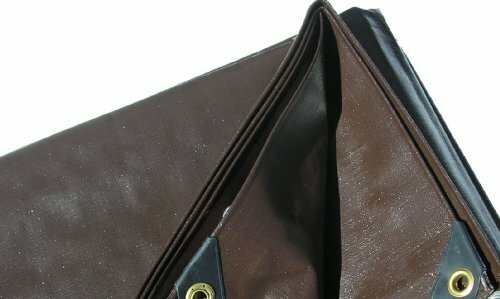 Even when we have owned tents with factory sealed seams, we have found it worthwhile to purchase some seam sealer and seal all of our tent seams when we put it for inspection before each camping trip. It’s just a little extra protection from the elements that makes us feel a bit more secure. Even though most tents come with an adequate number of stakes we have found that these small metal stakes don’t hold well in sandy ground or when there is a lot of wind. So we recommend getting heavy duty plastic stakes that will hold better in different ground and weather conditions.